Turning Main Street in to a pedestrian only zone, converting the Old Mill into a Food Emporium or opening a Call Centre employing a couple hundred of people are some of the ideas being put before the people of Skibbereen next week. 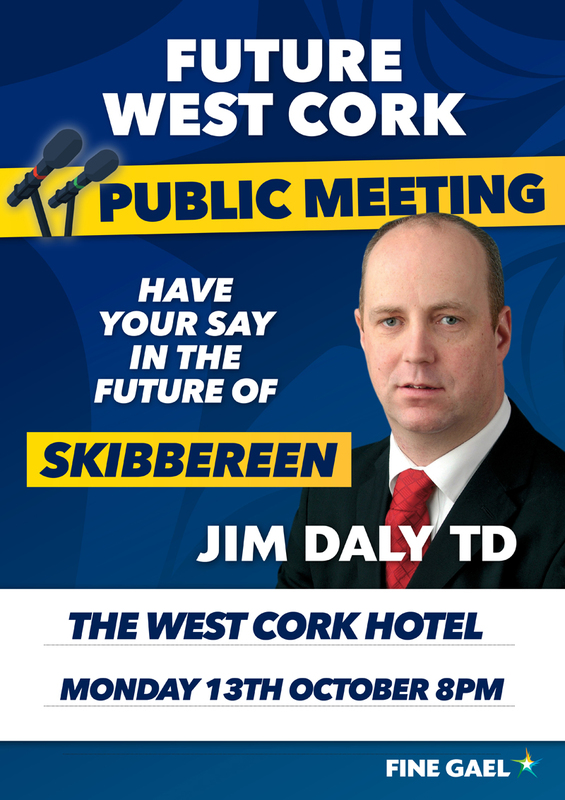 A series of public meetings under the title of “Future west Cork” will begin with a “Future Skibbereen” meeting in the West Cork Hotel on Monday October 13th at 8pm. 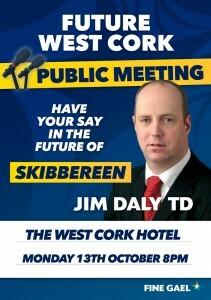 The meetings which will also be held in the towns of Bandon, Clonakilty, Dunmanway and Kinsale over the coming months are being organised by West Cork TD Jim Daly to identify one project which can be progressed in each town by a local committee to be formed at the public meeting. Speaking ahead of the launch of “Future West Cork” Jim Daly explained how the initiative is designed to help Towns contribute to their own future success by combining the goodwill and talents of the residents of each town. “My philosophy in life is simple – God helps those who help themselves – I will work with a small committee from each of the main towns to progress one initiative in that town. As an elected member of the Oireachtas, it is not within my gift to deliver large scale projects to towns but I certainly can assist working groups by way of advice and identifying contacts and sources of funding to develop a project in their town” explained Jim Daly.